Sandeep Pangal, an IIM Calcutta alumnus, was previously Managing Director & Head, India Investment Banking at Credit Suisse. He is also an erstwhile Managing Director, Investment Banking at JPMorgan India. Sandeep has vast experience in M&A advisory and capital raising in India, and has worked closely with several of India’s leading companies and financial institutions in achieving their strategic and capital goals. Deepak Kulkarni is a qualified Chartered Accountant. He also holds a Master of Science qualification from the London School of Economics and received an MBA from Harvard Business School. Deepak was recruited by Mitt Romney to work at Bain & Company where he rose to become a partner and continued as a limited partner in Bain Capital. 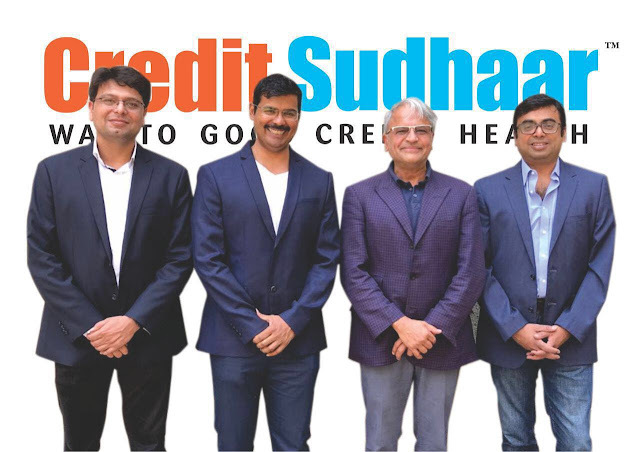 “Sandeep and Deepak's induction to our board gives a distinct fillip to the vision of making Credit Sudhaar a one-stop shop for solutions for people who are challenged by circumstances and are unable to break a cycle of bad credit. Both Sandeep and Deepak bring immense expertise that will enable Credit Sudhaar to progress rapidly by helping to gather the necessary ingredients for growth including attracting the best people, putting in place the best processes and partnering with industry leaders for further capital raises” said Arun Ramamurthy, co-founder Credit Sudhaar. Further Mr. Arun Ramamurthy added, that while Credit Sudhaar continues to take steps to maintain its leadership position in credit advisory service, its future plans centre significantly around expanding the lending proposition to people with challenged credit profiles. The company will use its NBFC vehicle, Credit Sudhaar Finance, across multiple geographies towards this objective. The Credit Sudhaar Group consists of Credit Sudhaar Services and Credit Sudhaar Finance. The Group is headquartered in Mumbai and employs more than 150 people to service its registered user base of more than half a million clients.